The great thing about our country is that even the least experienced entrepreneur can form a new company in a matter of hours. And the second best thing is that if you are a small business owner, you have the right to go out of business. This blog post will discuss the dissolution of an existing company. Since the vast majority of new businesses are limited liability companies, we will discuss the dissolution of LLCs in particular. If you don’t have a lot of debt, and simply want to move on, then you can dissolve your company without any stigma of bankruptcy. This blog post summarizes the steps you take to dissolve a limited liability company. This article summarizes possible outcomes from a business divorce. There are rarely good options in a business divorce, only ways to minimize the risk and uncertainty. It is not unlikely that the partners will engage in a self-defeating street fight with only losers and no winners. There are several issues that may affect the partners’ respective negotiating positions. In terms of the company, there are a limited number of possibilities: the company will continue to exist or it will be dissolved. There are of course other variants such as the assets of the company may be purchased or the company may be merged into a different company. In terms of damages or other remedies to the aggrieved party, courts try to fashion a remedy depending on the alleged harm. Whatever the outcome in a business divorce, usually none of the parties is particularly happy. The best medicine is preventive medicine. You should go into business only with those whom you trust and those with whom you can manage a long term relationship. And before you go forward with that partner, even the most compatible partner, make sure you speak with your small business attorney to craft an agreement for what you and your partner should do when you disagree. This article is about some of the traps that lie in wait for unwary founders. Remember that any startup has numerous issues to deal with starting on day one of the formation of the new business. 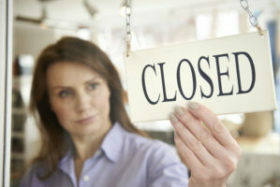 A new business owner who fails to be ready on day one proceeds at his or her own peril. Startup legal problems can take numerous forms and this article discusses some of the major issues such as failing to assign the IP to the new company, failing to reduce investor or partner agreements to writing, agreeing to a “standard” agreement, failing to observe corporate formalities, and failing to take into account that partners may die, get divorced or file for bankruptcy. This blog post highlights some of the critical issues in negotiating operating agreements for a new business. The operating agreement for a limited liability company (LLC) is the critical document that governs formation, governance, distributions and dissolution of your business, among other issues. You will want to give special attention to negotiating the operating agreement, especially when your business has several partners or investors. The LLC is a creature of state law and the operating agreement is an agreement. You have great latitude in negotiating the terms of the operating agreement as most states have few mandatory provisions. The operating agreement for your LLC is the most important agreement that will govern your business for the life of the business. 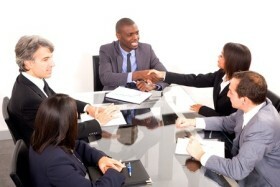 These terms may be difficult to negotiate but if a dispute arises, they will be even more difficult to resolve without the guidance from your operating agreement. You should go over the terms and conditions of the operating agreement carefully with your small business lawyer and make sure you understand and agree before you jump in to a relationship with partners and investors.